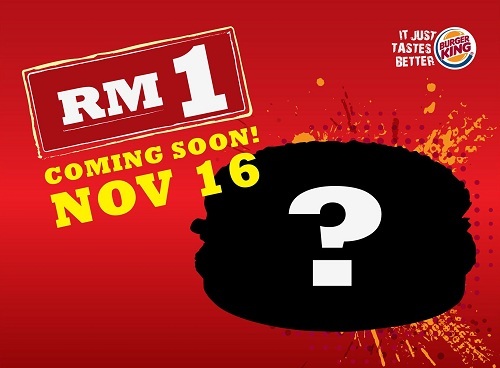 Burger King: Mysterious RM1 offer on 16 November 2011! What can you buy with RM1? At Burger King, something exciting awaits you! Coming soon on 16th November! Stay tune... we shall announce the RM1 Burger King here! ala-carte SPICY CHICK 'N' CRISP AT RM1 ONLY !